Sterling silver neckpiece with representation of Asmat Warrior Shield. 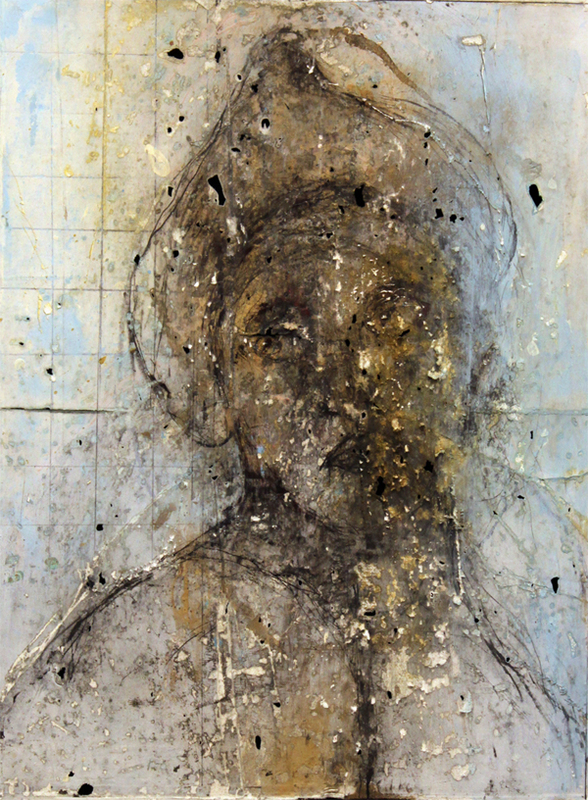 Repousse silversmithing technique. Pendant length: 4 inches. 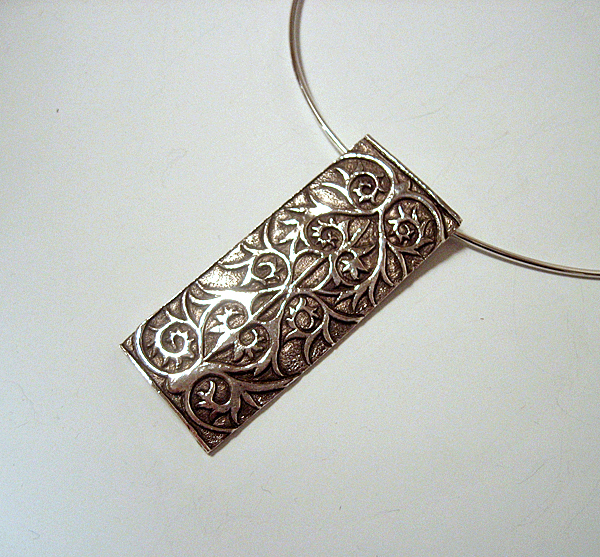 Sterling silver neckpiece with Sulawesi motif. 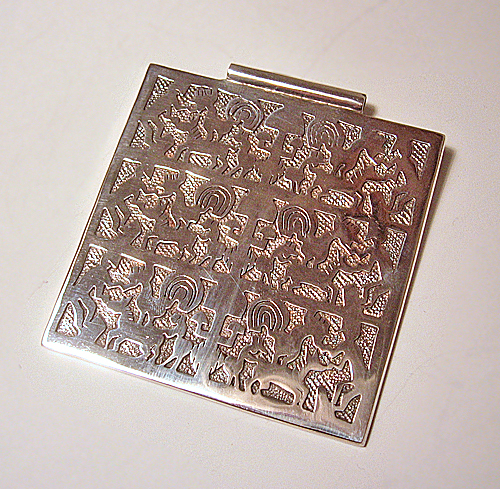 Repousse silversmithing technique. Pendant length: 2-12 inches. 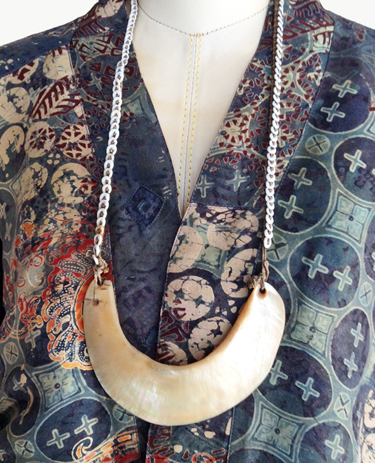 Sterling silver neckpiece with Sulawesi motif. 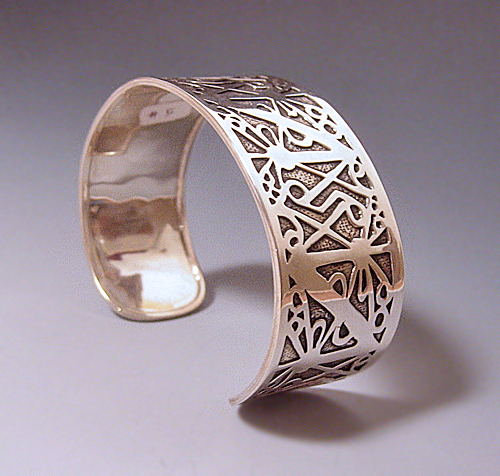 Repousse silversmithing technique. Pendant length: 3 inches. 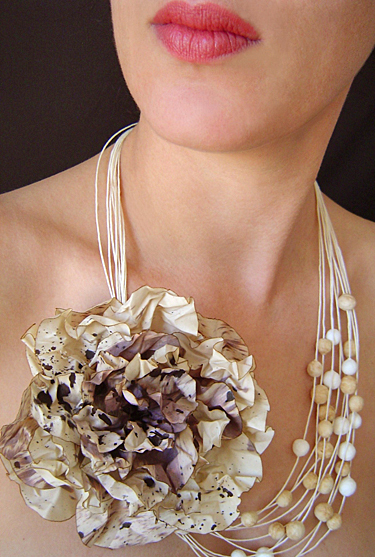 New Guinea Mother of Pearl Moka Kina Pectoral Trade Necklace, used in bridal dowry and as trading currency. Bold, beautiful, striking. Geometric Dayak motif. 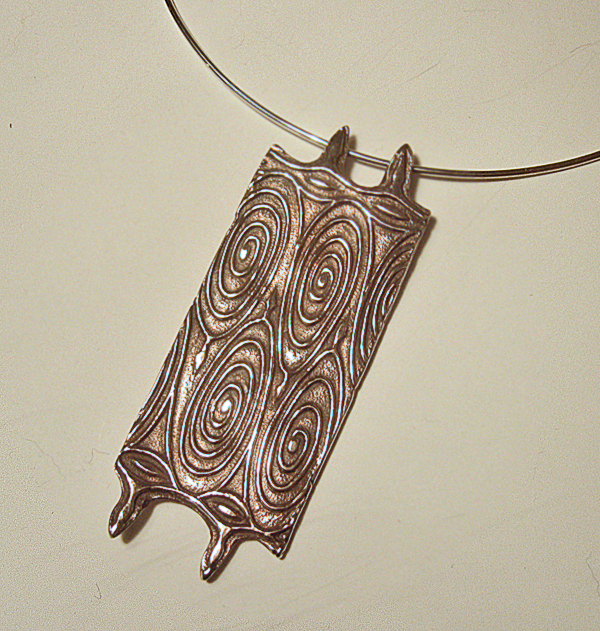 Repousse silversmithing technique. Sterling silver. Dimensions: 7-1/4 x 1-1/4 inches. Sumba motifs (human and tree of life motifs found in ikat textiles). 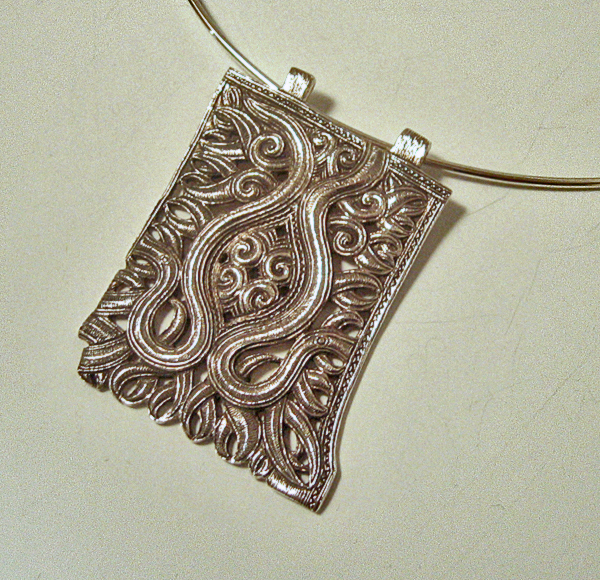 Repousse silversmithing technique. Sterling silver. Dimensions: 2-1/2 x 2-1/2 inches.